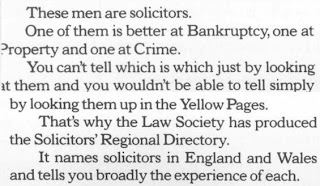 Ross's Law Marketing Blog: The Worst Legal Industry Ad Ever? It's a JOKE! Get it? See how clever they are? Let's see, how can we yuck up some of the other practice areas involving real human pain and tragedy? 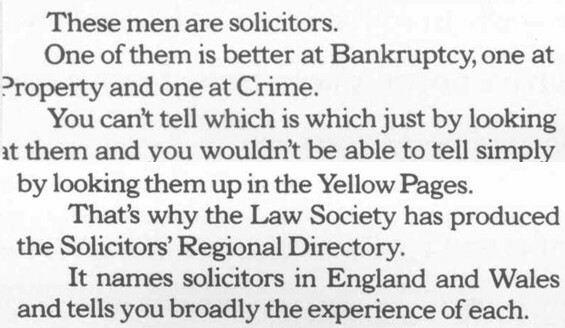 Anyone got an equally funny one for Personal Injury or Divorce, perhaps? 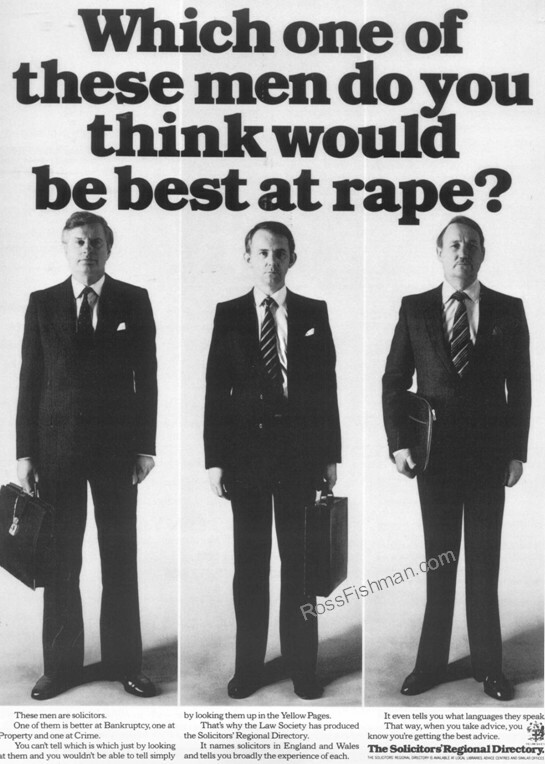 This ad has been sitting on my laptop for a very long time - I can't remember where I originally found it. 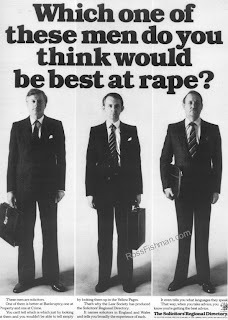 "* There’s poor taste, there’s bad taste, and then there’s whatever the hell was going through the heads of the sick bastards who came up with this advertisement for legal services. [Ross's Law Marketing Blog]"
If that isn't the worst, I'd really hate to see was the worst. Hey, Here is my first comment on your site. , I have been reading your blog for a while and thought I would completely pop in and drop a friendly note. . It is great stuff indeed. I also wanted to ask.. is there a way to subscribe to your site via email?